New Distributing is equipped to handle your bulk fueling needs. With our tenured staff of professional drivers, we can transport up to 9,000 gallons of fuel or related products. Our fuel is competitively priced and we have diverse geographic footprint and availability. When you choose us as a business partner we can supply your fueling needs with our reliable freight and fuel delivery services. 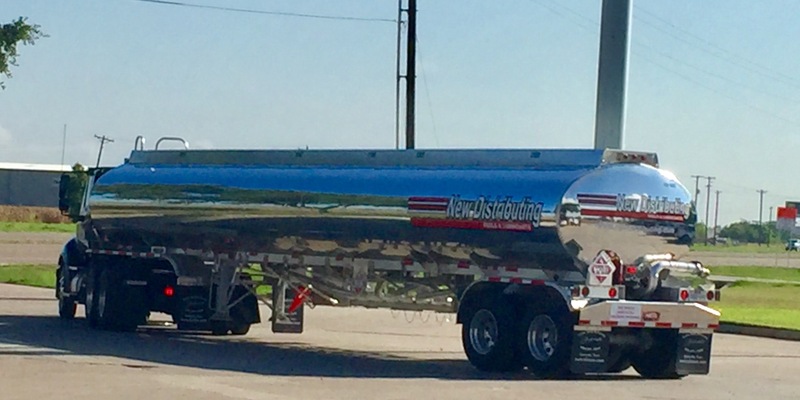 New Distributing provides delivery service for nearly a 125-mile radius based from Victoria, Texas. Additionally, we maintain strong relationships with reliable third-party carriers in other areas of Texas.